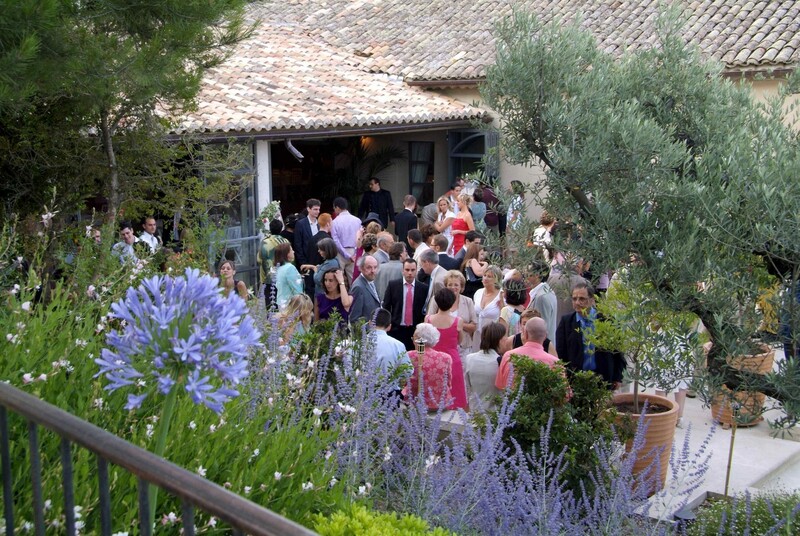 ORGANISE YOUR EVENT IN AN EXCEPTIONAL SETTING, AND MAKE IT ALL YOUR OWN ! Welcome your guests for celebratory meals, business meetings, conferences, product launches, filming, entertainment and activities in our selection of varied reception areas. 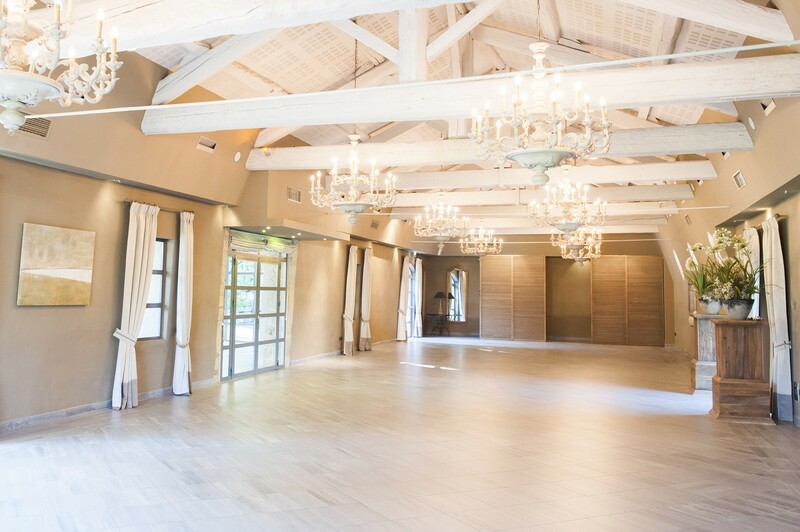 This spacious room, with its elegant decor and technical facilities, is equally ideal for gala dinners and dances or conferences and meetings. This covered space is open to the grounds and surrounded by nature and adjoining terraces. 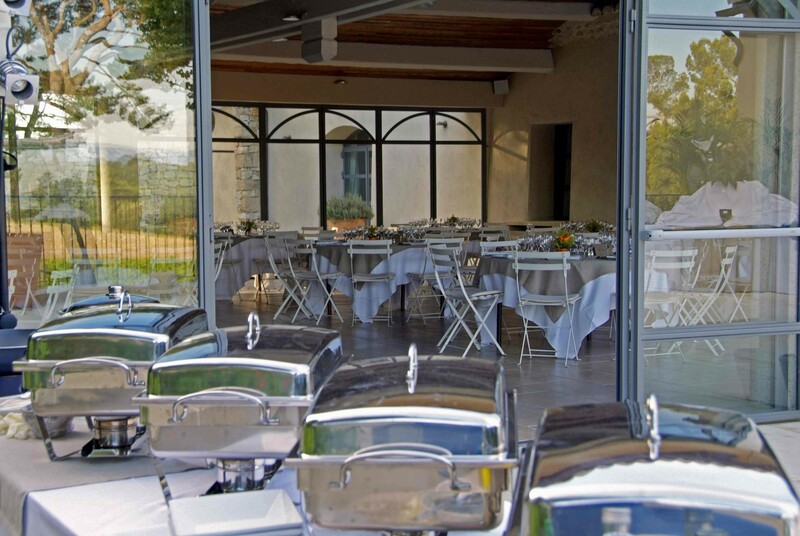 With its large adjustable bay windows, it is perfect for hosting your cocktail parties and buffets should the weather be inclement, or for lunch under cover in the hot summer, or else for summer dining overlooking the vines. Our two terraces adjoining our reception rooms are the perfect tree-covered addition to the summer room – for cocktails, meals or other gatherings. 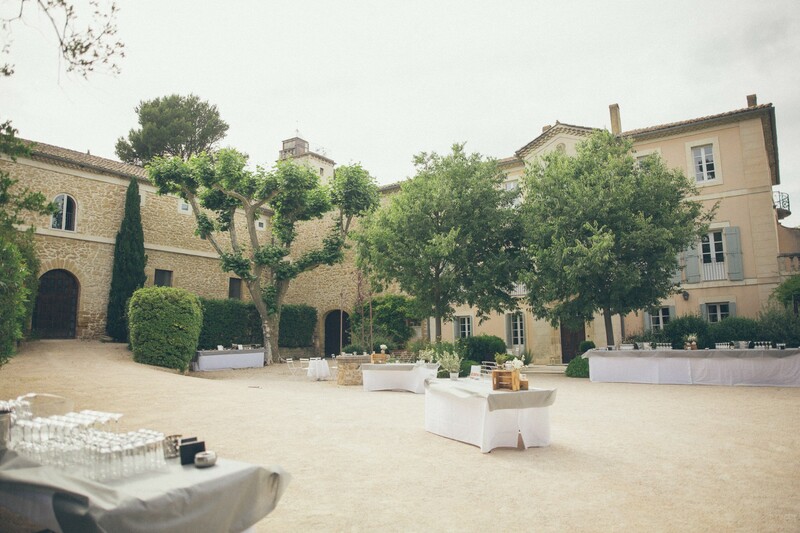 The courtyard of this 17th century building will give your ceremony or cocktails a place in history ! The layout of the property allows room for showcasing cars or other large items. 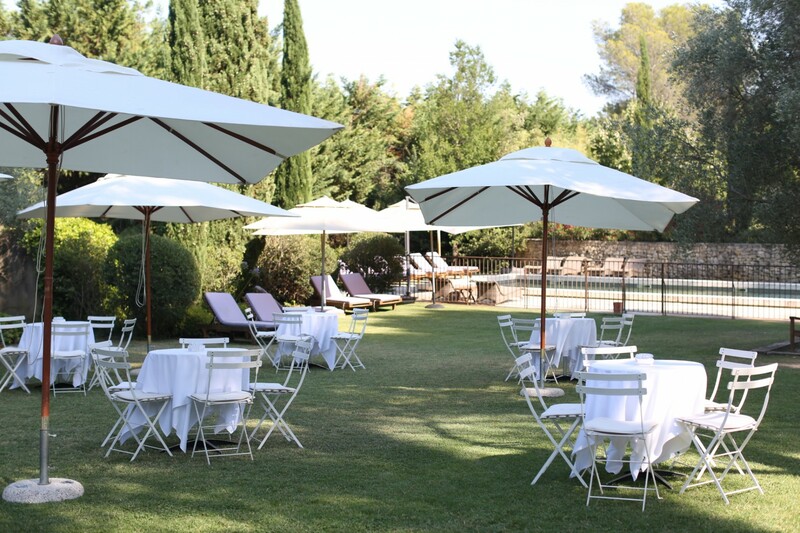 This delightful garden area is perfect for gatherings, and is the ideal, magnificent setting for a cocktail “in touch with nature”, especially for summer evening receptions and daytime and country-style lunches.